There's actually more to this story, but I'm saving some back until I get responses to this piece. So tell me what you think. So too with the product give-aways and the rest. I know better than to accept every trade-a-link offer, especially those coming from purveyors of flower wreaths dyed to match your fingernail polish, whose e-mails begin “Hello! Since our sites are similar, I thought…” , So far I’ve accepted only one offer, that made by Chris (Backyard Gardening Blog, World's Best Organic Compost Tumbler), who gave me a composter in exchange for a review (which I still owe him.) That deal went forward only after extended negotiations of a sort that rivaled those held over settlements in the West Bank. Indeed, I ere on the side of caution, guarding my honor and that of my blog the way some Victorians guarded their own and that of their wife. Yet I can’t bring myself to join those who lead a simpler (and no doubt morally superior) life, having decided simply not to run advertisements or accept endorsements of any kind. This particular post — the one about the product give-away — had 31 comments. Eleven of those include Blogger links to empty or unavailable profiles. Eleven more include no links. That’s twenty-two of the thirty-one, leaving nine. There’s one response from the blogger’s dog, two clear repeats of the sort that sometimes just happens, and several other ambiguous repeats. There are also two Ryans and two Danielles. In the end, I could trace exactly five of the comments to legitimate sites–four of them blogs, one a business site. All of this looks very suspicious, of course — padded to the hilt. But here’s the question: is it just the blog that gets the blame, or the product as well? Do I assume collusion on the part of the company? And — do I therefore turn down their give-away offer? Advice would be much appreciated–though not necessarily heeded. 12 Responses to Product give-away standards–help! I suspect I know who you’re talking about, because I was approached about it too. I elected not to because I couldn’t vouch for the product’s effectiveness (not having used it personally) and suspected that they had no idea who I was or what PATSP was about. More of a gut decision than one I weighed logically. I don’t know that there’s necessarily anything wrong with accepting ads in general, or doing reviews, or etc., but if you’re uncomfortable endorsing a product because something feels off about the situation, you’re hardly obligated to do it. Hmm, it’s quite a dilemma isn’t it? I’ve just been offered something for review too. However, I already have a ‘relationship’ with the company concerned. They’ve reviewed my blog on their blog and I’ve made several humourous posts about one of their garden centres. Also the product on offer I can test out before the review and I can say whether I think it’s good or bad. I wouldn’t accept if I couldn’t test the product out for myself and give an honest review. In your shoes I wouldn’t feel comfortable about your offer because it’s not really the time of the year when you can put the product to the test. Kate, you should head over to Dave’s blog, The Home Gardener, which just today had a post about a giveaway for organic pest controls. I have no idea what product you’re contemplating, but you could see if it’s the same one Dave is offering and chat with him about what he thinks. Good luck!!! Oops, that would be The Home Garden. I need to remind myself never, ever to post any comments in the morning! Sorry. Very interesting. I personally might consider reviewing a book or a product, but these giveaways seem more trouble than they are worth. I’d rather read about other bloggers garden, or trips to interesting natural areas, than about some product and I expect other readers might feel the same. I don’t think that bloggers accepting items to review is a bad thing. I have only accepted one. The email they sent mentioned something specific about my blog showing that they had done some research on me and I had already read about another blogger taking the same offer. Also, the item would be shipped to me BEFORE my review. I don’t know how you could review something you never tried anyway. The deal was that I would get the item and in return they would get a perfectly honest review with a link to the item on their site (I would have linked anyway, because I like to make it easy for my readers to see what I am talking about). Of course, these places are counting on the psychological effects of reciprocity. In your case, I would not take the offer as it looks fishy. They don’t seem like they are doing this sincerely. Maybe do some more research on them if you really are interested. Honestly? I think we’re all getting too worked up over this schwag/protect the integrity of my blog stuff. If you’re interested in the product, go ahead and accept it for review. Then give it an honest review (which I have no doubt you’ll do), and simply state that you were sent the sample for testing. If it’s good, then you’ve passed along a good idea; if it’s not, then you’ve saved people some money and time. I had a company send me some free stuff back in the spring; I haven’t reviewed it yet because, guess what, I’m testing it out before commenting on it. Two things I like (one of them surprised me with its effectiveness, in fact), one thing I’m just sort of so-so on. I’ll mention that they were free samples, give my impressions, and that will be that. The world will go on. Glad to see you back in the blogosphere, Kate. You were missed. My instinct would be don’t do it…at least until you have tested the stuff for at least a season to see if it is any good. It would be such a pity to have the virtue of your Blog violated by the commercial equivalent of some cad with twirling moustachios. I was given a pair of Ethel gloves by a blogger friend, not to review but as a thank-you gift. He received several pairs for hosting the garden bloggers’ convention in Chicago this spring. I had a lot of fun putting together a post about the gloves and actually did use them–for a while. They must not be suited for working in sandy soil because one of them developed a hole in it after a couple of months of heavy use. Now I’m afraid to provide an update on them in the blog for fear of hurting someone’s feelings. Reviewing a product can become a bit complicated. I understand your dilemma. Hmmm, I didn’t get this offer, so I don’t know. What worries me is the lack of true comments on the blog mentioned and that it was one of those promotion blogs. However, if you take them and try them, you can give a true review. Tough call. Those general guidelines sound good to me, mr._subjunctive. I don’t like being asked to endorse something–even by giving it away–without also being offered a chance to try it myself first. But what made the whole thing so odd was that endorsement by another product-happy blogger, and the way it made me wonder if the company was in cahoots with the blogger, or if I was just getting paranoid in my old age. Having a ‘relationship’ with the company, as you so delicately put it, VP, makes all the difference. I’d also noticed the unsuitable season for trying out this company’s products. Got it in one, OFB–them’s the folks. But apparently Dave has tried the product. On balance, I’d agree, Town Mouse; I couldn’t believe the one “blog” that had endorsed this product, because it did nothing but endorse products. However, I don’t mind the occasional product review, if it’s actually helpful! The set-up you describe, Sylvana, where someone contacts you specifically (not fifty bloggers all over the map) and gives you a product in exchange for an honest review, is precisely what went on with the one offer I have accepted. And even there it took a while to work out terms, and to be sure that there were no hidden agendas on either side. Wow, Susan, how very relaxed and straightforward! You mean, I can’t be tainted by the tarry brush that may have touched another, less honest, blog (or brow)? What a novel concept! Makes me wonder what I’m afraid of, and the answer, I suspect, is that I don’t want to discover that I’ve been had. And I guess I do believe, at least to some extent, in guilt by association. A cad with twirling mustaches, James? My blog is positively shrinking at the prospect. So far, though, I’ve been able to keep such fiends at bay. Good to hear from someone who’s actually done it, walk2write, and who appears to have emerged with virtue intact. Your particular problem–reviewing a gift–lends a whole new twist to the problem. Do you think feelings really would be hurt? That’s unfortunate. Yes, Dee exactly.. And I have no idea if the company was behind the fake comments. I mean–why would the blogger fake them for herself? I don’t get it. Thanks for the news about the Manic’s being one of Horticulture’s favorite blogs; I had no idea! Hi Kate. 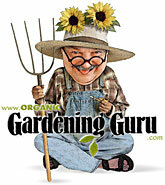 I think company’s like mine keep up with the blogs to reach out to average gardeners and expand their customer base. 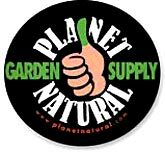 We always want to provide samples to a friendly farmer or gardener who can spread the honest word about the effectiveness. That said, let us know if you want to test out any products http://www.messinawildlife.com; Deer Stopper, Barrier Ribbon…anything!